It’s fun. It’s interesting. And it’s creative. Soap making is not rocket science. 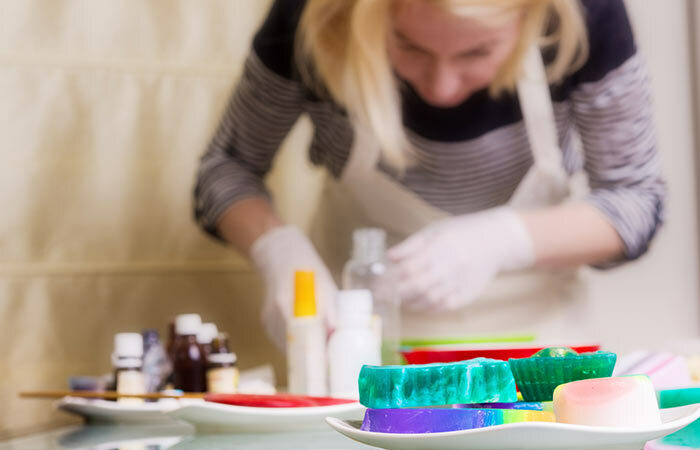 If you are someone who does not shy away from new creative adventures, try soap making. 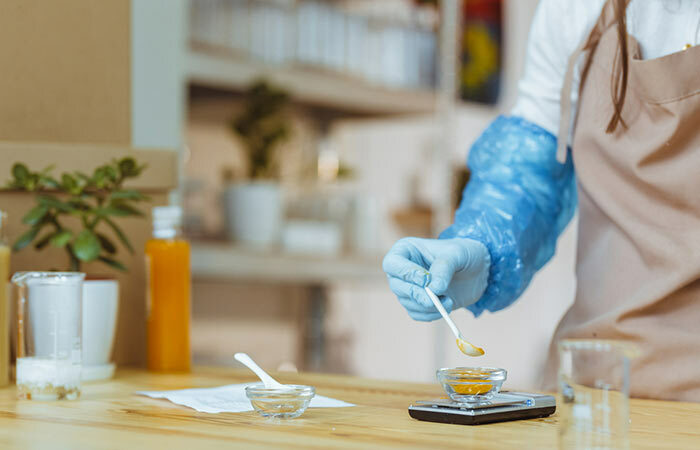 Not only is it fulfilling to see your creative ideas taking shape, but you also don’t have to worry about synthetic chemicals harming your skin as you get to choose the ingredients. And talking about the ingredients, aloe vera is the undisputed winner. Why? It is inexpensive, easy to use, and readily available, and it keeps your skin healthy and happy. 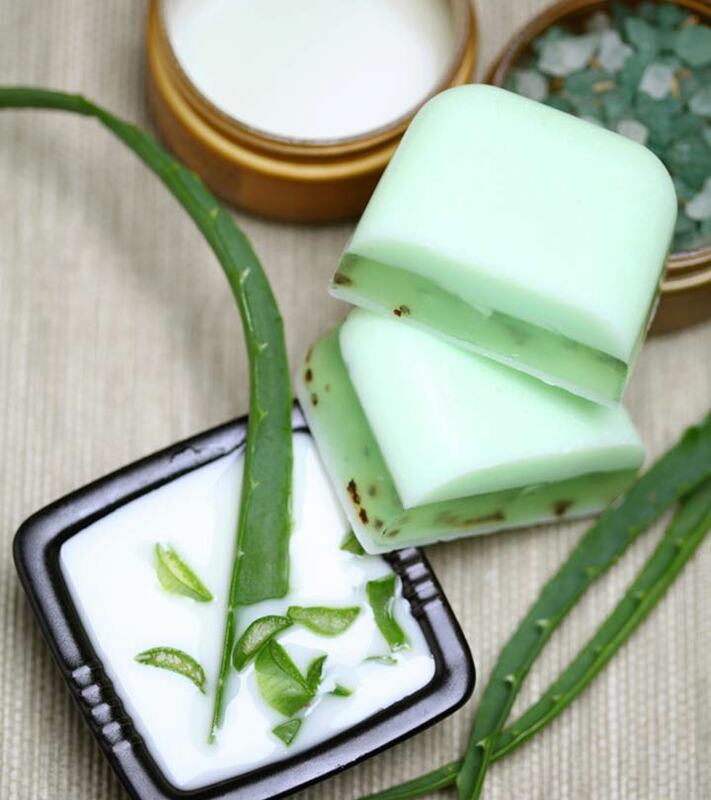 If you are new to this craft, this step-by-step guide to make aloe vera soap is just for you. So, here we go! 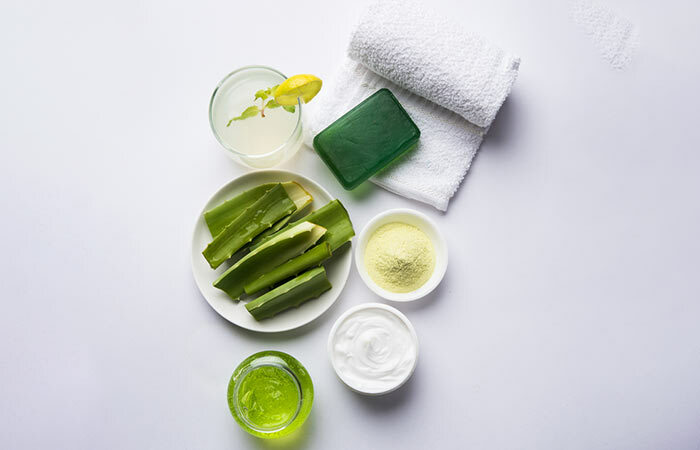 There are three ways to make aloe vera soap at home. The below methods are the most popular ways followed by DIY soap enthusiasts worldwide. This is important because the amount of lye differs with the ingredients you are using. For instance, if you are using shea butter instead of coconut oil for aloe vera soap recipe, you need to check how much lye you will need. The amount of lye decides how hard or soft your soap is. You can use this lye calculator. Lye is not readily available in stores, so you need to get it beforehand. You can buy it here. Also, lye is an alkali and should be handled with care. It releases poisonous fumes when mixed with water. So, suit up in your safety gear before you start. Now, here’s how you can make soap. Note: The amounts of lye and distilled water will change depending on the ingredients and their amounts. Note: For essential oils, use 2-3 drops (of each oil in case you are using multiple oils) for each 100-gram bar of soap. Cut the aloe vera plant and scoop out enough gel (as per the instructions). Set it on a paper towel until the yellow aloe juice stops oozing. Measure the distilled water into a bowl. Don’t forget to zero out the weight of the container. Keep it aside. Heat the vegetable fat and olive oil in a microwave for a minute. You can even melt them on a gas burner on high heat. Measure the lye (zero out the weight of the bowl) and use a spoon to scoop the lye and pour it into the water carefully. Remember, NEVER pour water into lye but always do the converse. Wait for the fumes to die down. You will be left with a cloudy-clear liquid. DO NOT touch it with bare hands. 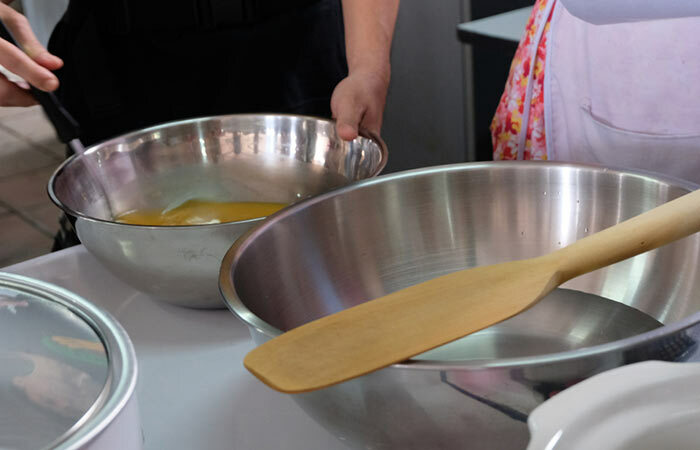 Add the oil and vegetable fat mix to the lye and water mixture and stir using a spatula. Add the aloe vera gel to this and stir. It will take some time for the mixture to absorb the gel and the oil. Be patient and keep stirring. Add the essential oils (and other elements) and stir. Pour this batter into the soap mold and keep it aside (away from light, heat, and moisture). Let it set for 24 hours. Cover the mold with a towel. Once it is hard, remove it from the mold. The soap needs at least 4 weeks for curing (time required for lye, fat, and water to turn into soap). During this period, store it in a cool and dry place. The aloe vera soap bar is ready to use after the curing time is over. Both cold and hot processes of soap making are very similar. The only difference is that in the hot process, external heat is used for accelerating saponification. Also, hot processed soaps have less curing time. Measure distilled water in a bowl and lye in a separate bowl. Pour the lye into the water and mix. Let the mixture cool down a bit. Take a pan and heat up the oils and aloe vera gel on low heat. Add the essential oils to the mixture and stir. Add the lye and distilled water mixture to the oil and gel blend. One thing to remember is that, while mixing, the temperature of both the mixtures should be the same – which is 100 degrees. Once you have added the lye and water mixture to the pan, whisk it thoroughly until the mixture turns thick and gooey. Pour this mixture into the molds. Allow them to set in a cool and dark place for 24 hours. Remove them from the molds and store them for curing. The curing time depends on the climate of your area. If you stay in a humid place, the curing time can be anywhere between 3 weeks and a month. And if you stay in a place that has dry weather, 1-2 weeks of curing is fine. 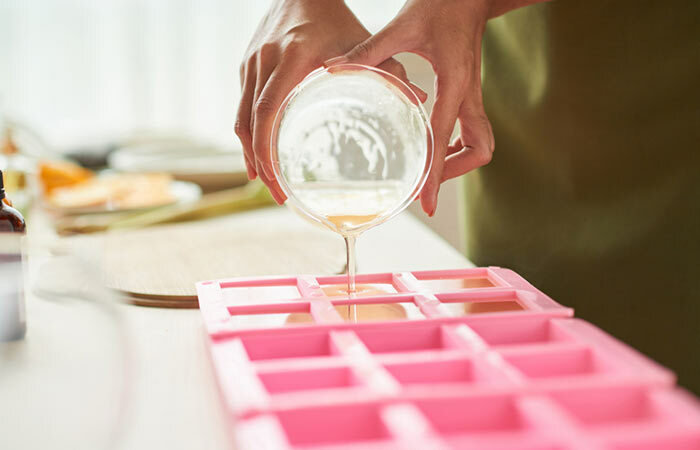 The Melt and Pour (MP) method is the quickest and easiest way to make DIY soaps. Here, all you need are pre-made melt and pour soap bases and other ingredients (oils, kinds of butter, additives, colors, and fragrance) for making natural aloe vera soap. You don’t have to use lye to prepare a soap base. 15-20 drops lemon essential oil, 900g olive or coconut oil, Rubbing alcohol and other additives, such as clay, color, or fragrance oils (optional). Take a stainless steel pan and melt the soap base in it over a low flame. Keep stirring continuously. Once the soap has melted, let it cool down for not more than 2-3 minutes. Add all the ingredients. Remember, you have to work fast. Mix the ingredients well. In case the soap has started to harden, heat it again for a while. Pour the mixture into soap molds. Spray rubbing alcohol to make the bubbles disappear. Let them set for 24 hours in a cool and dry place. Take the bars out of the molds, and they are ready to use. You don’t need to cure them. Aloe vera has been used as a natural remedy for many skin issues for ages. Among all the other aloe species, aloe vera is considered the most biologically active as it has over 75 active compounds that benefit you tremendously. Let’s look at a few benefits. 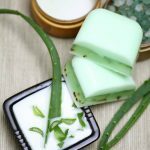 Topical applications of aloe vera or home made aloe vera soap help in relieving rashes, itching, burning sensation, and other damages to the skin. A review of more than 40 studies summarized the dermatological effects and benefits of aloe vera. Aloe vera has anti-fungal and antibacterial properties, and it works wonders in soothing dermatitis, psoriasis, burns, frostbite, and inflammation (1). The topical application of aloe vera protects your skin from radiation damage. It relieves burns and damage caused by UV exposure (2). In a study, researchers found that aloe vera accelerated wound healing in patients suffering from wounds/abrasions caused by dermabrasion procedure. However, scientists are not sure how aloe vera does this (3). Aloe vera contains mucopolysaccharides that do not let moisture escape your skin. It also promotes the production of collagen and elastin fibers. These two compounds make your skin elastic and prevent wrinkles (4). Aloe vera prohibits the activity of the cyclooxygenase pathway. It also contains C-glucosyl chromone, which is an anti-inflammatory agent (5). Aloe vera is indeed a magic herb! Now, before you start making soaps at home, keep in mind these safety precautions. Always Use Accurate Measurements: Because you will be dealing with essential oils and alkalis. The wrong measurements can affect the quality of the soap. Always Wear Safety Goggles: It is essential to keep your eyes safe when you are dealing with liquids and chemicals. Raw soap and lye are caustic, and the fumes can harm your eyes. Keep Your Skin Safe: This goes without saying! Your skin cannot tolerate exposure to the lye solution. So, it is better to wear long-sleeved clothes and gloves. Prepare Your Soap In A Well-Ventilated Area: This is important because the lye solution initially gives out fumes that need to be cleared immediately. If you are working indoors, keep the windows open and switch on the exhaust fan. Be Prepared To Handle Spills: You will be using oils, chemicals, and solutions. And even if you try to avoid, there will be spills. So, keep an absorbent handy. Keep A Record Of The Batches You Prepare: Note down the ingredients and amounts at every step. This will help you in making the next batch. Also, make a note of what went wrong and why so that you can avoid those mistakes. Now you are all set to make aloe vera soap at home! Try making a few and gift them to your family and friends. These make for excellent gifts! And don’t forget to share your feedback with us in the comments section below. 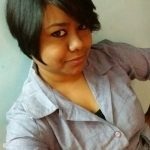 How To Use Aloe Vera To Treat Stretch Marks?